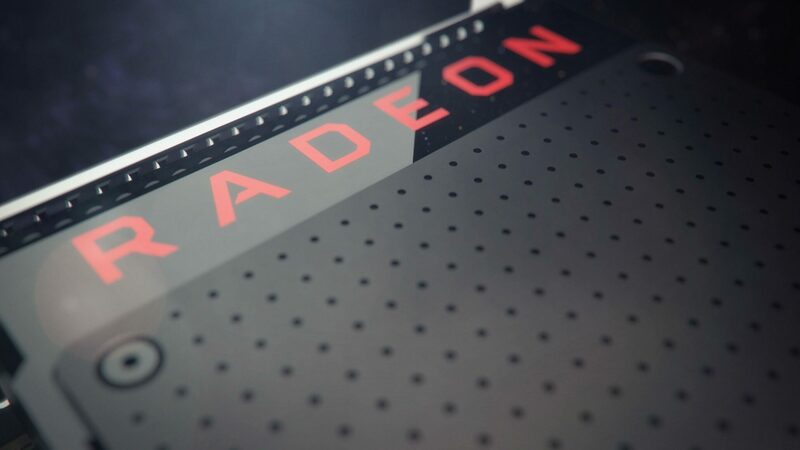 AMD releases Crimson 16.7.1 driver. Delivers on its promise to improve the performance of the RX 480 and reduce its power consumption. The RX 480’s PCIe power draw is now within the 75W PCI SIG standard recommendation. Additionally, the new driver also introduces performance boosts and a new optional low power profile. 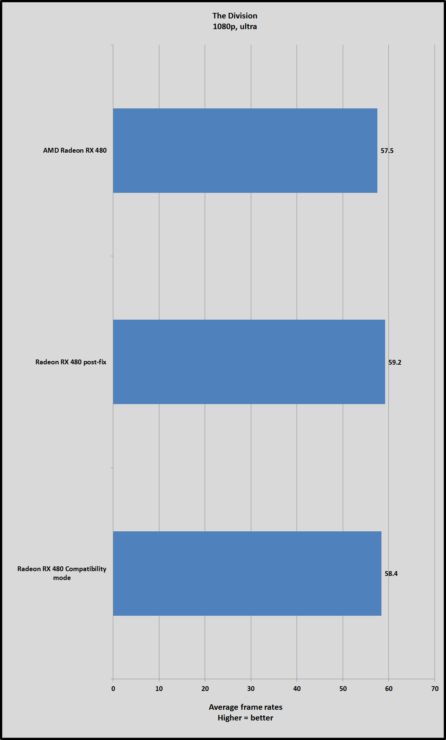 Which when enabled brings the card’s overall power consumption down even further at no performance cost compared to the previous 16.6.2 driver. The company announced the 16.7.1 driver two days ago and promised to release it today. It’s now up for grabs on the company’s website. Crimson 16.7.1 download link. Let’s first look into the performance boost. 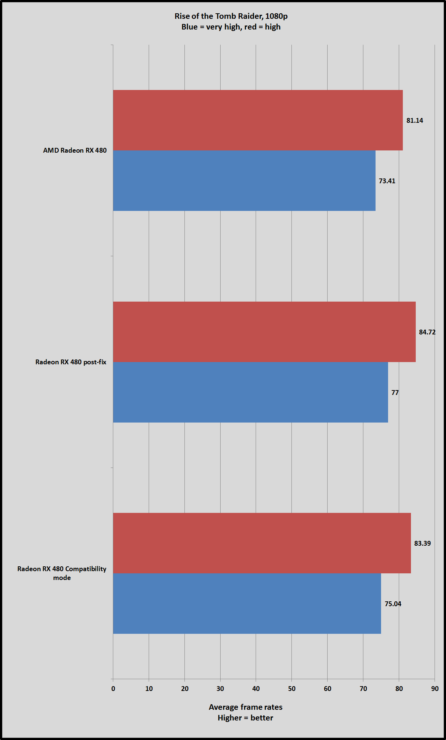 PCWorld found that the RX 480 was faster across the board with the 16.7.1 driver compared to the previous 16.6.2 version, even with the low power “compatibility mode” profile enabled. The new driver also successfully addresses concerns regarding power draw from the motherboard slot. PCPer and Tom’s Hardware measured power draw from the slot directly with the new driver installed. The result was dramatically lower power draw from the motherboard slot. We examined the power consumption of all three voltage rails and their sums. With the new driver, total draw does increase by around 3W, but load on the motherboard slot (PEG) drops by a whopping 10W! 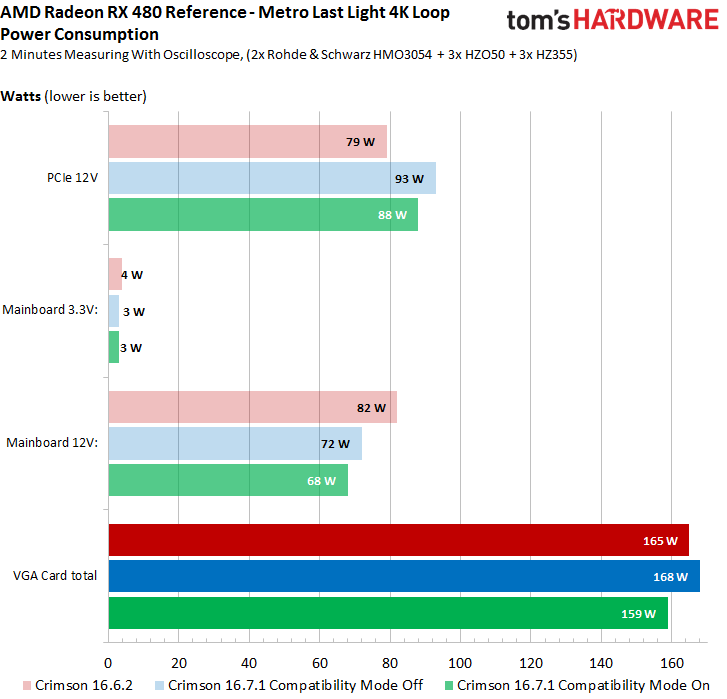 Interestingly the new driver allows the RX 480 to maintain higher boost clock speeds, which contributes 3 watts to the overall power draw. Although we’re talking about a 1.8% increase in overall power consumption for a 3% increase in performance. All the while drawing less power from the motherboard slot. 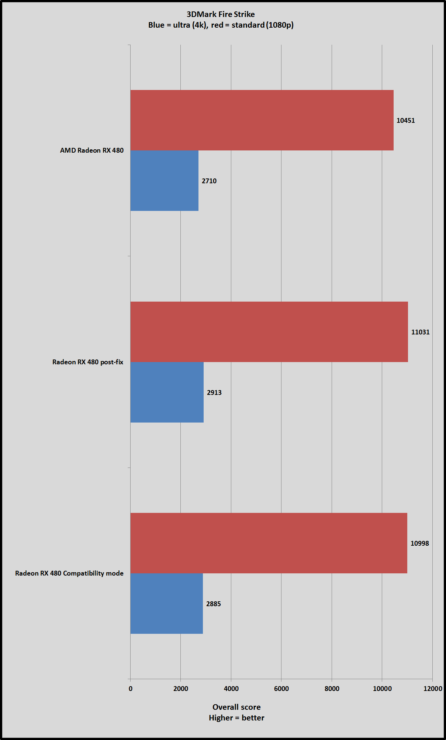 This is all the more reason to go and download the new driver if you’re an RX 480 owner.